Talking scents? On Tuesday 24 February the IPKat weblog teams up with the British Literary and Artistic Copyright Association (BLACA) for the second year running to host an exciting meeting on sensory copyright. Topics under review include the scent of perfume, the taste of cheese and other sensory works of authorship that fall outside the classic foursome of literary, dramatic, musical and artistic works. Is it an aerial photo of the wilds of Canada? 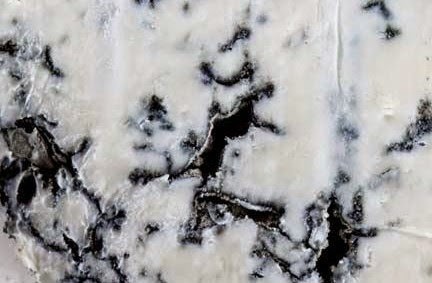 A close-up of a chunk of marble? The venue is the London office of Reed Smith LLP at 20 Primrose Street (here) and IPKat/1709 Blog contributor Eleonora Rosati (University of Southampton) will present the case in favour of protection of sensory works. IP practitioner and academic Tobias Cohen Jehoram, who has litigated this very topic in his native Dutch courts, will be taking the contrary position. IPKat/1709 Blog blogmeister Jeremy will be in the chair. The order of ceremonies runs like this: doors open at 4.30 pm for a 5 pm start. After the serious side of the programme there will be some sensory delights -- whether protected by copyright or not -- in the form of refreshments kindly provided by our hosts. There is no admission fee. The venue only holds 100 people so if you are planning to come, do email Polly Taylor at polly.taylor@blplaw.com to register your interest and be put on the guest list. It is likely that this event is going to be oversubscribed and we are unable to reserve places. The seats will be allocated on a first-come first-serve basis on the day so do arrive early to ensure yourself a place. Anything that can be done there?